Dear Urbaneer: How Much Profit Should I Expect Climbing The Property Ladder? Welcome to the latest installment of Dear urbaneer, where we assist our clients with real estate questions that have been troubling them. This time around, one of our clients is expressing his frustration at water-cooler chat that makes him feel like he is somehow being left behind by "get-rich-quick" real estate. 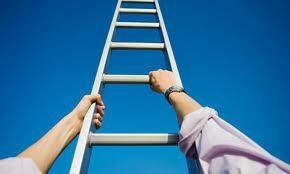 Is climbing the property ladder truly profitable? It seems that every time I turn around, I'm hearing about (or from) yet another person who seems to have made a considerable return on their housing investment, simply by selling what they've got and getting right back into the market with a bigger/more expensive property? I've been working my way up the property ladder, having bought my first home, sold that and bought again and I certainly haven't seen these huge "profits" that people keep boasting about. Am I doing something wrong?" Signed, Is My Property Ladder Missing Some Rungs? We completely sympathize with your frustration. And take heart, once you actually boil down these "profits" that you've heard about, you may find that the facts will quickly diffuse your housing angst. 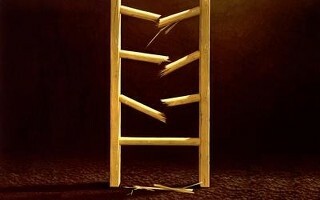 Bottom line: the Property Ladder is for climbing, not hopping. While climbing the property ladder is a natural progression in your housing life, let us dispel a few housing myths. 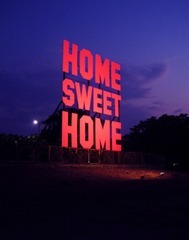 Namely, “house-hopping” (i.e. the act of buying a house, living there for a short period and then moving onwards and upwards, in terms of price point) is by no means a “get-rich-quick” scheme. You’ve no doubt heard stories from friends, family, co-workers or acquaintances (who either know of someone or themselves) that have made a tidy sum simply by selling their home and moving into another. You’ve heard the saying “If it’s too good to be true, then it probably is”. This is especially applicable when it comes to real estate. The thinking is that, in taking the equity out of your home and boosting the down payment for your next home in quick succession will deliver you to real estate tycoon status. Actually, the opposite is true. As we’ve said before, when it comes to real estate, slow and steady wins the real estate investment race. While this concept in equity-taking is in part correct (i.e. using the equity of your home to increase your down payment on your next home as you move your way up the property ladder) there are a few holes in this theory: namely, that all of the costs are not fully taken into account. Beyond closing costs (things like taxes, realtor fees, lawyer fees, interest adjustment costs, just to name of few) there are other costs that whittle away at that lump sum of equity- which is what really determines your return on investment. So, why haven’t you had the spectacular success that your friend/neighbour/family member has had? Guess what - it's likely they haven’t either. And it comes down to comprehensive math. Here is an interesting article that looks at costs comprehensively, called “House Hopping is Keeping you Broke”. Let’s use a hypothetical, like the one shown in this great video from the Globe and Mail, called "You made how much selling your house? You sure about that?". The buyer in this scenario bought a house for $300K and then ten years later, sold it for $600K. Wow, they doubled their investment in ten years! Awesome! Not exactly- and here's why. Although the 'sticker price' for the home would have been $300K, they would have paid CMHC premiums (+PST), taxes, legal fees, title insurance and home inspection fees, which according to this calculation would have ramped the actual purchase price up to about $314K. Homeownership, of course brings with it certain financial obligations over time to maintain your home. Things like property taxes, insurance and interest paid out on your mortgage will together add up to a significant sum. And then of course, there is the business of repairing or renovating your home to protect your investment, which, depending on the age and condition of your home, can be a substantial amount over a ten year period. In this particular scenario, they figured that this $300K home would incur about $177K in ownership expenses over that period. Got your calculator out? This is adding up! And then they break down this sale price of $600K, from which the seller must deduct legal and realtor fees and taxes, which really brought the “actual” sale price down about $30K. The bottom line? You can’t simply subtract your straight purchase price from your straight sale price and determine the return on your investment. You’ve got to take the net sale price (which they figured to be $571, 380) and subtract the net purchase price (which they figured to be $315, 500). From that total, you must subtract the ownership expenses over that time period (which they figured to be $177,000). The total net gain, after you factor in all of the real costs is $79,880, a far cry from the $300,000 that may have caught your eye at the beginning of this scenario. Wow. Let’s keep in mind too, that this scenario is applied to a ten year period. Theoretically, if you are moving around in a shorter time period, your margins may be even thinner. However, let's also acknowledge that these 'total housing expenses' included all the costs of shelter which, given we all need a roof over our head, one would incur portions even if renting. We all have to live somewhere right, so in some respects these ownership expenses are a little bit skewed. We are in no way suggesting that you sit tight on your current rung of the property ladder, simply to save on costs incurred in the transactions of buying and selling; rather we are drawing to light one of the many complexities that are involved in buying, selling and home ownership. People don’t often think of their home as a part of their investment portfolio, but it is. And it requires the same kind of long-term strategy that reflects the reality of the return on investment over time. It helps to have someone along the way to help you determine the real costs, so that you can best gauge and plan for that return on investment. Do you need some guidance about your next move on the property ladder? We’re here to help! Like what you've read? Consider signing up in the box below to receive our FREE monthly newsletter on housing, culture and design including our love for unique urban homes and other Toronto real estate.